The Florabowley.com website (hereinafter referred to as the “Website”) is intended and designed solely to provide the user (“User”) with access to Flora Bowley’s work, videos, classes, general information and products, as well as bringing together the global community of people interested arts education and well-being. This Website is not provided for any other purposes, intended or otherwise. 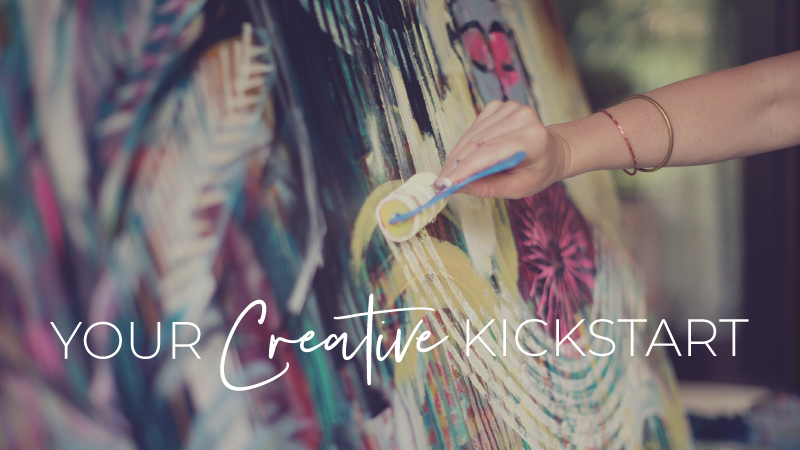 The Website is owned and maintained by Flora Bowley Designs, Incorporated, an Oregon (USA) corporation (“FBDI”). These Terms & Conditions of Use apply to all of the intellectual property content (including, without limitation, all images, text, video, trademarks, service marks, trade names, logos and copyrighted content), products, services and classes offered by FBDI. PLEASE READ VERY CAREFULLY THE FOLLOWING TERMS AND CONDITIONS FOR USE OF THE WEBSITE. These Terms and Conditions of Use, constitute an agreement (hereinafter referred to as the “Agreement”) between FBDI and all users, and sets forth legally binding terms for User’s use of the Website. By using the Website, you agree to be bound by this Agreement, whether you are a “Visitor” (by simply browsing the Website) or as a “Member” (which means that a user has registered for classes and/or has otherwise obtained privileged access to content or services provided by FBDI as a paid user). If any user does not accept the terms of this Agreement, they should terminate their use of, or access to, the Website. FBDI reserves the right to modify the Website, any or all of the content on the Website, and the terms of this Agreement from time to time, and such modification shall be effective upon its posting and no advance warning shall be provided to users. All users agree to be bound by any modification to this Agreement whenever any such modifications are posted; Users are therefore advised to periodically review this Agreement. If any User wishes to become a Member, and otherwise obtain access to privileged areas of the Website or selected Member services, they must read this Agreement and indicate their acceptance of these terms and conditions of use during the registration process. In consideration of any use of the Website, Users represent that they are of legal age to form a binding contract and are not a person barred from entering into contractual relations under the laws of the United States or other applicable state or local jurisdiction. Users also agree to: (a) provide true, accurate, current and complete information about themselves as prompted by any Membership registration form available on our Website (the “Registration Data”); and, (b) maintain and promptly update User’s Registration Data to keep it true, accurate, current and complete. If any User provides any information that is untrue, inaccurate, not current or incomplete, or FBDI has reasonable grounds to suspect that such information is untrue, inaccurate, not current, or incomplete, FBDI reserves the right to suspend or terminate any User account and refuse any and all current or future use of any access or services provided to User (or any portion thereof) at any time. Access and use of the Website is void where prohibited. All content on this Website is provided to Users on an “as is” basis for Users’ general information and personal use only, and may not be downloaded, copied, reproduced, distributed, transmitted, broadcast, displayed, sold, licensed, or otherwise exploited for any other purposes whatsoever without the prior written consent of FBDI. FBDI exclusively reserves all rights not expressly granted in and to the Website and all Website content of any kind. for streaming (“Streaming” or “Stream”) meaning, a contemporaneous digital transmission of an audiovisual work via the Internet from FBDI Service to a User’s computer or similar device in such a manner that the data is intended for real-time viewing and not intended to be copied, stored, permanently downloaded, or redistributed by the user. Accessing Website videos for any purpose or in any manner other than Streaming is expressly prohibited. For purchasing Flora Bowley artwork or other products. Painting, in all of its forms, with or without the use of materials such as acrylic or oil paint media, solvents, brushes, or any other equipment that may be suggested by a FBDI instructor, is at the risk of the User. Accordingly, all Users are urged and advised to seek the advice of a physician before beginning any use of painting materials, and/or program and use any suggested equipment, shown in any of the video clips, or in other media on the Website. FBDI is not a medical organization and our instructors or staff cannot give Users medical advice on the dangers of any art media or materials used in the creative process. All activities portrayed on the Website, relating to the use of certain media, equipment, and instruction should be undertaken only on an age-appropriate basis and, for younger children, under adult supervision. The Website, including its content, is not directed to persons under eighteen (18) years of age. All Users agree that they are eighteen (18) years of age or older, or that their use is under the supervision and direction of a parent or legal guardian. If a User registers as a Member on the Website, they will be required to choose a password and user name, and each Member may be asked for additional information regarding User’s account, such as their e-mail address and/or credit card or transfer account information. All Members are responsible for maintaining the confidentiality of their password and account information, and are fully responsible for all activities that occur under User’s password or account. Members agree to (a) immediately notify FBDI of any unauthorized use of their password or account or any other breach of security, and (b) ensure that Users log out from their account at the end of each session. Users may never use another Member’s account without prior authorization from FBDI. FBDI will not be liable for any loss or damage arising from any failure to comply with this Agreement. Users agree not to use or launch any automated system, including without limitation, “robots,” “spiders,” or “offline readers,” that accesses the Website in a manner that sends more request messages to the FBDI servers in a given period of time than a human can reasonably produce in the same period by using a conventional on-line web browser. Users, and not FBDI, are entirely responsible for all Content that you post, email, transmit or otherwise make available via the Website. FBDI does not control the Content posted via the Website and, as such, we do not guarantee the accuracy, integrity or quality of such Content. User understand that by using the Website , you may be exposed to Content that you deem offensive, indecent or objectionable. Under no circumstances will FBDI be liable in any way for any Content, including, but not limited to, any errors or omissions in any Content, or any loss or damage of any kind incurred at any time as a result of the use of any Content posted, emailed, transmitted or otherwise made available via the Website. s acknowledge that FBDI may or may not pre-screen Content posted on our Website, that FBDI is not responsible for behavior or comments of teachers and/or students and/or music presented in Website video Content, but that FBDI shall have the right (but not the obligation) in its sole discretion to pre-screen, edit, refuse, or remove any Content or portion thereof that is available via the Website, for any reason. Without limiting the foregoing, FBDI shall have the right to remove from our Website any Content that violates this Agreement or is otherwise objectionable in the sole discretion of FBDI, or to restrict, suspend, or terminate User’s access to all or any part of the Website at any time, for any or no reason, with or without prior notice, and without liability. If you become aware of misuse of the Website by any person, please contact FBDI. Members acknowledge, consents and agrees that FBDI may access, preserve and disclose User’s account information and Content if required to do so by law or in a good faith belief that such access, preservation or disclosure is reasonably necessary to: (a) comply with legal process nationally or internationally; (b) enforce this Agreement; (c) respond to claims that any Content violates the rights of third parties; (d) respond to any requests for customer service; or (e) protect the rights, property or personal safety of FBDI, its Members and the public. Under no other circumstances will FBDI intentionally disclose Member account information to any third party. User understand that our Website, and software embodied within our Website, may include security components that permit digital materials to be protected, and that use of these materials is subject to usage rules set by FBDI and/or content providers who provide content to FBDI. Users may not attempt to override, disable, circumvent or otherwise interfere with any such security components and usage rules embedded into our Website. All materials on the Website, including, without limitation, names, trade names, logos, trademarks, images, text, columns, graphics, videos, photographs, illustrations, music, artwork, software and other elements (collectively, “Website Content”) are protected by copyrights, trademarks and/or other intellectual property rights owned and controlled by FBDI, or by third parties that have licensed or otherwise provided their material to FBDI. User acknowledge and agree that all Website Content on the Website is made available for limited, non-commercial, personal use only. Except as specifically provided herein or elsewhere on this Website, no Website Content may be copied, reproduced, republished, sold, downloaded, posted, transmitted, or distributed in any way, or otherwise used for any purpose, by any person or entity, without FBDI’s prior express written permission. User may not add, delete, distort, or otherwise modify the Content. Any unauthorized attempt to modify any Website Content, to defeat or circumvent our security features, or to utilize the Website or any part of the Website Content for any purpose other than its intended purposes is strictly prohibited. The Website may not be used in connection with any commercial purposes, except as specifically approved by FBDI. Unauthorized framing of or linking to any of our Website is prohibited. Commercial advertisements, affiliate links, and other forms of solicitation may be removed from Member profiles and Website Content without notice and may result in termination of membership privileges. By posting, displaying, publishing, transmitting, or otherwise making available (individually and collectively, “Posting”) any User Content on or through our Website. Users hereby grant to FBDI a non-exclusive, fully-paid, royalty-free, perpetual, irrevocable, worldwide license (with the right to sublicense through unlimited levels of sublicensees) to use, copy, modify, adapt, translate, create derivative works, publish, publicly perform, publicly display, store, reproduce, transmit, distribute, and otherwise make available such User Content on and through our Website, in print, or in any other format or media now known or hereafter invented, without prior notification, compensation, or attribution to User, and without User’s consent. If User wish to remove any User Content from the Website, User’s ability to do so may depend on the type of User Content, the location and manner of Posting, and other factors. User may contact us to request the removal of certain User Content User have Posted, but FBDI has no obligation to remove any such User Content, may choose whether or not to do so in its sole discretion, and makes no guarantee as to the complete deletion of any such User Content and copies thereof. Notwithstanding the foregoing, a back-up or residual copy of any User Content Posted by User may remain on FBDI’s servers after the User Content appears to have been removed from our Website, and FBDI retains the rights to all such remaining copies. User represent and warrant that: (i) User’s own all right, title and interest in all User Content posted by User on or through our Website, or otherwise have the right to grant the license set forth in this section, and (ii) the Posting of any User Content on or through our Website does not violate the privacy rights, publicity rights, copyrights, publishing, trademarks, patents, trade secrets, contract rights, confidentiality, or any other rights of any third party. The Website contains Website Content owned by FBDI, and content of third party licensors to FBDI (including content provided by users of our Website, as described above), which is protected by copyright, trademark, patent, trade secret and other laws. FBDI owns and retains all rights, title and interest in the FBDI Content. FBDI hereby grants to User a limited, revocable, non-sublicensable license to Stream and/or view the FBDI Website Content, and any third party Content, located on or available through the Website (excluding any software code therein as set forth above) solely for User’s personal, non-commercial use in connection with viewing our Website and/or utilizing any services provide by FBDI. Except for User Content posted by User, User may not copy, modify, translate, publish, broadcast, transmit, distribute, perform, display, make available, or sell any Website Content appearing on or through our Website. Due to the global nature of the Internet, Users agree to comply with all local rules regarding online conduct and acceptable Content. Specifically, User agree to comply with all applicable laws regarding the transmission of technical data exported from the United States or the country in which User resides. FBDI respects User’s and Member’s privacy rights and permits Users to control certain aspects of the treatment of User’s or Member’s personal information. FBDI does not retain User information, nor does it sell or license access to any User or Member information for any purpose. The Website Content, including without limitation, any and all text, software, scripts, graphics, photos, sounds, music, videos, interactive features and the like and the trademarks, service marks, trade names and logos contained therein (“Marks”), are owned by or licensed to FBDI, subject to copyright and other intellectual property rights under the law. Bloom True is a trademark owned and controlled by FBDI. FBDI has in place certain legally mandated procedures regarding allegations of copyright infringement occurring on our Website. FBDI reserves the right in its sole discretion to immediately suspend and/or terminate access to the Website by any user who is alleged to have infringed on the intellectual property rights of FBDI or of a third party, or otherwise violated any intellectual property laws or regulations. FBDI’s policy is to investigate any allegations of copyright infringement brought to its attention. If any User has evidence, knowledge, or a good faith belief that User’s rights, or the rights of a third party, have been violated, and User wants FBDI to delete, edit, or disable the material in question, User must provide FBDI with all of the following information: (a) a physical or electronic signature of a person authorized to act on behalf of the owner of the exclusive right that is allegedly infringed; (b) identification of the copyrighted work claimed to have been infringed, or, if multiple copyrighted works are covered by a single notification, a full list of such works; (c) identification of the material that is claimed to be infringed or to be the subject of infringing activity and that is to be removed or access to which is to be disabled, and information reasonably sufficient to permit FBDI to locate the material; (d) information reasonably sufficient to permit FBDI to contact User, such as an address, telephone number, and if available, an electronic mail address at which User may be contacted; (e) a statement that User has a good faith belief that use of the material in the manner complained of is not authorized by the copyright owner, its agent, or the law; and (f) a statement that the information in the notification is accurate, and under penalty of perjury, that User is authorized to act on behalf of the owner of an exclusive right that is allegedly infringed. For this notification to be effective, you must provide it to FBDI by e-mail, to our designated agent for notification of infringement. Such notices may be sent to FBDI via e-mail to: teamlove@florabowley.com. Users are solely responsible for User interactions with other Members. FBDI reserves the right, but has no obligation, to monitor or litigate disputes between you and other Members. This Agreement shall remain in full force and effect for so long as FBDI or its parent companies are in operation. Members may terminate their Membership at any time, for any reason, by following the instructions on the Website. FBDI reserves the right to terminate Member accounts or access to the Website immediately, with or without notice to you, and without liability to you, if FBDI believes that any Member has breached any of the terms of this Agreement, furnished FBDI with false or misleading information, or otherwise interfered with use of the Website. Members of FBDI may not share, give or sell their Member password or username to any other person or entity. Excessive viewings or logins by any Member will be construed by FBDI as fraudulent use of the Website, which may result in the immediate cancellation of membership without refund. When becoming a Member, Members agree to take all actions possible to protect their username and password from fraudulent use. FBDI reserves the right to cancel any membership it believes has been compromised, or is being used fraudulently, at FBDI’s own discretion. Memberships are billed on a periodic, or per class, basis. Members may cancel their memberships at any time. Membership must be canceled prior to any applicable renewal date, in order to terminate any ongoing membership charges. At times, special prepaid membership packages will be available for purchase. Special prepaid memberships may be recurring and, if so, will renew automatically on the expiration date. Memberships of this nature must be canceled prior to the renewal date in order to end membership charges. FBDI does not refund any paid and unused membership fees. USERS AGREE AND ACCEPT THAT THEIR USE OF THE WEBSITE SHALL BE AT THEIR SOLE RISK. TO THE FULLEST EXTENT PERMITTED BY LAW, FBDI, AND WITHOUT LIMITATION, ITS OFFICERS, DIRECTORS, EMPLOYEES, AND AGENTS DISCLAIM ALL WARRANTIES, EXPRESS OR IMPLIED, IN CONNECTION WITH THE WEBSITE AND ANY USE THEREOF. FBDI MAKES NO WARRANTIES OR REPRESENTATIONS ABOUT THE ACCURACY OR COMPLETENESS OF THIS WEBSITE’S CONTENT OR THE CONTENT OF ANY SITES LINKED TO THIS WEBSITE, AND ASSUMES NO LIABILITY OR RESPONSIBILITY FOR ANY (I) ERRORS, MISTAKES, OR INACCURACIES OF CONTENT, (II) PERSONAL INJURY OR PROPERTY DAMAGE, OF ANY NATURE WHATSOEVER, RESULTING FROM ANY ACCESS TO AND USE OF THE WEBSITE, (III) ANY UNAUTHORIZED ACCESS TO, OR USE OF, OUR SECURE SERVERS AND/OR ANY AND ALL PERSONAL INFORMATION AND/OR FINANCIAL INFORMATION STORED THEREIN, (IV) ANY INTERRUPTION OR CESSATION OF TRANSMISSION TO OR FROM THE WEBSITE, (IV) ANY BUGS, VIRUSES, TROJAN HORSES, OR THE LIKE WHICH MAY BE TRANSMITTED TO OR THROUGH OUR WEBSITE BY ANY THIRD PARTY, AND/OR (V) ANY ERRORS OR OMISSIONS IN ANY CONTENT OR FOR ANY LOSS OR DAMAGE OF ANY KIND INCURRED AS A RESULT OF THE USE OF ANY CONTENT POSTED, EMAILED, TRANSMITTED, OR OTHERWISE MADE AVAILABLE VIA THE WEBSITE. FBDI DOES NOT WARRANT, ENDORSE, GUARANTEE, OR ASSUME RESPONSIBILITY FOR ANY PRODUCT OR SERVICE ADVERTISED OR OFFERED BY A THIRD PARTY THROUGH THE WEBSITE OR ANY HYPERLINKED WEBSITE OR FEATURED IN ANY BANNER OR OTHER ADVERTISING, AND FBDI WILL NOT BE A PARTY TO OR IN ANY WAY BE RESPONSIBLE FOR MONITORING ANY TRANSACTION BETWEEN USER AND THIRD-PARTY PROVIDERS OF PRODUCTS OR SERVICES. AS WITH THE PURCHASE OF A PRODUCT OR SERVICE THROUGH ANY MEDIUM OR IN ANY ENVIRONMENT, USERS SHOULD USE THEIR BEST JUDGMENT AND EXERCISE CAUTION WHERE APPROPRIATE. IN NO EVENT SHALL FBDI, AND/OR, WITHOUT EXCEPTION, ITS OFFICERS, DIRECTORS, EMPLOYEES, OR AGENTS, BE LIABLE TO USER FOR ANY DIRECT, INDIRECT, INCIDENTAL, SPECIAL, PUNITIVE, OR CONSEQUENTIAL DAMAGES WHATSOEVER RESULTING FROM ANY (I) ERRORS, MISTAKES, OR INACCURACIES IN ANY WEBSITE CONTENT, (II) PERSONAL INJURY OR PROPERTY DAMAGE, OF ANY NATURE WHATSOEVER, RESULTING FROM ANY ACCESS TO AND USE OF THE WEBSITE, (III) ANY UNAUTHORIZED ACCESS TO OR USE OF OUR SECURE SERVERS AND/OR ANY AND ALL PERSONAL INFORMATION AND/OR FINANCIAL INFORMATION STORED THEREIN, (IV) ANY INTERRUPTION OR CESSATION OF TRANSMISSION TO OR FROM OUR WEBSITE, (IV) ANY BUGS, VIRUSES, TROJAN HORSES, OR THE LIKE, WHICH MAY BE TRANSMITTED TO OR THROUGH OUR WEBSITE BY ANY THIRD PARTY, AND/OR (V) ANY ERRORS OR OMISSIONS IN ANY CONTENT OR FOR ANY LOSS OR DAMAGE OF ANY KIND OCCURRED AS A RESULT OF ANY USE OF ANY CONTENT POSTED, EMAILED, TRANSMITTED, OR OTHERWISE MADE AVAILABLE VIA THE WEBSITE, WHETHER BASED ON WARRANTY, CONTRACT, TORT, OR ANY OTHER LEGAL THEORY, AND WHETHER OR NOT THE COMPANY IS ADVISED OF THE POSSIBILITY OF SUCH DAMAGES. THE FOREGOING LIMITATION OF LIABILITY SHALL APPLY TO THE FULLEST EXTENT PERMITTED BY LAW IN THE APPLICABLE JURISDICTION. USERS SPECIFICALLY ACKNOWLEDGE THAT FBDI SHALL NOT BE LIABLE FOR CONTENT POSTED BY OTHER USERS, OR THE DEFAMATORY, OFFENSIVE, OR ILLEGAL CONDUCT OF ANY THIRD PARTY AND THAT THE RISK OF HARM OR DAMAGE FROM THE FOREGOING RESTS ENTIRELY WITH USER. Any Users who access or use the Website from other jurisdictions do so at their own volition and are responsible for compliance with local or national laws. Certain jurisdictions may not allow the exclusion of certain warranties or the limitation or exclusion of liability for incidental or consequential damages. Accordingly, in certain jurisdictions, some of the above limitations of liability may not apply to all Users, however, all other provisions of this Agreement remain in full force and effect. Users agree to defend, indemnify and hold harmless FBDI, and without exception or limitation, its subsidiaries, affiliates, subcontractors, officers, directors, employees, consultants, representatives and agents, from and against any and all claims, damages, obligations, losses, liabilities, costs or debt, and expenses (including but not limited to attorneys’ fees and costs) arising from: (i), any use of and access to the Website; (ii), any violation of any term of this Agreement; or, (iii), any violation of any third party right, including, without limitation, any copyright, property, or privacy right. This defense and indemnification obligation will survive this Agreement and any use of the Website. FBDI may also require Users to follow additional rules, guidelines or other conditions in order to participate in certain promotions, classes or activities available through the Website, or to obtain certain premium or privileged content through the Website, or for other reasons. In addition, certain additional terms will govern any purchases you make through the online store located on the Website. These additional terms will be posted on the relevant portions of our Website or on the portions of our Website that describe the specific products, services, content, or activities. These additional terms are part of this Agreement, and all Users agree to comply with them when they participate in those programs or classes, purchase items from the online store, or otherwise engage in activities governed by such additional terms. FBDI reserves the right at any time to modify, remove, alter, edit, delete, suspend or discontinue, temporarily or permanently any Website content, programs, classes or any other aspects of the Website (or any portion thereof) with, or without, notice. Users agree that FBDI will not be liable to any User for any such modifications, editing, deletions, suspensions or discontinuances of any content or services provided on or through the Website. This Agreement and any rights and licenses granted hereunder, may not be transferred or assigned by any User, but may be assigned by FBDI, without restriction. This Agreement, together with any related Website policies, and any other legal notices published by FBDI on the Website, shall constitute the entire agreement between Users and FBDI concerning the Website and governs each User’s use of the Website, superseding any prior agreements between any User and FBDI with respect to the Website. The failure of FBDI to exercise or enforce any right or provision of this Agreement shall not constitute a waiver of such right or provision. If any provision of this Agreement is found by a court of competent jurisdiction, or arbitrator, to be invalid, the parties to this Agreement nevertheless agree that the court or arbitrator should endeavor to give effect to the parties’ intentions as reflected in the provision, and the other provisions of this Agreement remain in full force and effect. Users agree that, regardless of any state or federal statute, or law, to the contrary, any claims or causes of action arising out of or related to use of the Website, or this Agreement must be filed within one (1) year after such claim or cause of action arose or it shall be forever barred. This Agreement shall be governed by the laws of the State of Oregon, without respect to its conflict of laws principles. Any claim or dispute between a User and FBDI that arises in whole or in part from the Website shall be decided exclusively by an arbitrator or court of competent jurisdiction located in Multnomah County, Oregon. Users agree that: (i) the Website shall be deemed solely based in Oregon; and (ii) the FBDI Website shall be deemed a passive website that does not give rise to personal jurisdiction over FBDI, either specific or general, in jurisdictions other than Oregon. User affirms that they are at least eighteen (18) years of age, and are fully able and competent to read, understand and enter into this Agreement, including all conditions, obligations, affirmations, representations, and warranties set forth in this Agreement, and to abide by, and comply with, all terms of this Agreement. FBDI reserves the right to amend this Agreement at any time and without notice, and it is all User’s responsibility to review this Agreement for any periodic changes. Use of the Website following any amendment of this Agreement will signify each User’s assent to and acceptance of its revised terms.